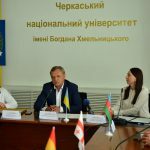 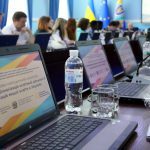 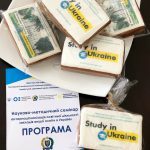 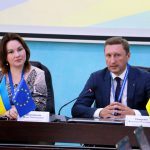 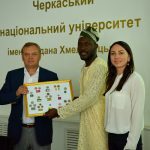 On June 6-8, 2018 the director of Ukrainian State Center of International Education Dr. Olena Shapovalova visited Cherkasy National University named after Bohdan Khmelnytsky. 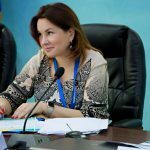 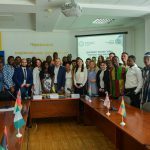 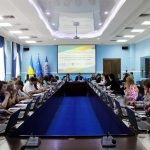 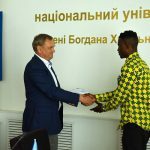 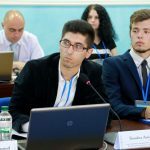 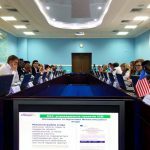 Dr. Olena Shapovalova took part in roundtable discussion “The future and present of African and Asian countries” and the ceremony of opening of the new project “ChNU Ambassadors” with handing over the certificates to the international students, who will represent the university at their home countries. 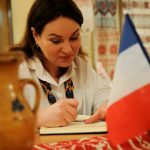 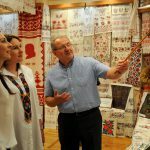 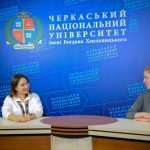 Also Dr. Olena Shapovalova had an opportunity to join the Day of communication of the international students with the rector Olexandr Cherevko, gave an interview to the students’ television and visited the laboratory Hotel and Restaurant business and Ukrainian embroidery museum.